The Standard Model allows for the Higgs boson to decay to identically flavored pairs of , such as electrons and muons, but not to mixed pairings of lepton flavors. Evidence of the latter would be a sign of new physics. For a moment, forget everything you know about twins and imagine you were told “the only way two siblings could have been born on the same day is if they were identical twins.” You would go about life assuming that the only twins in the world were siblings who were the same age and looked exactly alike. Of course, in reality, there are fraternal twins, and the first time you encountered a pair of nonidentical siblings born on the same day, you’d have to assume that your initial information was at least incomplete. Physicists are trying to test a principle of the Standard Model by looking for a particle version of fraternal twins, or lepton flavor violation. The fundamental particles known as fermions that make up ordinary matter all seem to come in multiple flavors or generations. For example, the electron has a heavier cousin called the muon. Apart from its mass, a muon behaves much the same way as an electron in terms of having similar properties and interacting with the same forces. One key exception is the flavor itself, a quantity unique to a given flavor of particle. For example, an electron has an “electron number” of +1 while its antiparticle, the positron, has a corresponding number of -1. Muons, on the other hand, have an electron number of 0 but have corresponding “muon numbers.” The Standard Model requires that certain types of interactions, say the decay of a Higgs boson, always conserve lepton flavor. This means that a Higgs boson can decay into an electron and a positron (which would sum to an electron flavor of zero) or a muon and an antimuon (again, a muon flavor sum of zero), but not to an electron and an antimuon, the latter being an example of lepton flavor violation. In short, the Standard Model requires that identical twins of particles emerge from Higgs boson decays and expressly forbids fraternal twins. Thus, observing decays of Higgs boson into fraternal twins of lepton pairs, say an electron and a muon, would be a strong sign of physics beyond the Standard Model. CMS physicists searched for evidence of such decays, specifically for Higgs boson decays to electron-muon and electron-tau lepton pairs. 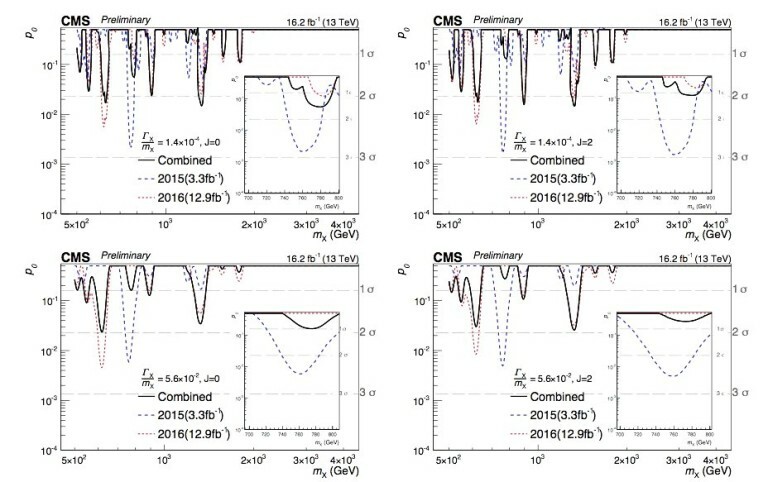 The search, performed in the dataset accumulated by CMS in 2012 and reported in a paper submitted to Physics Letters B, yielded no evidence of either type of decay. The results did place the tightest bounds yet on the possible rates of such decays and allowed physicists to place constraints on some models of physics beyond the Standard Model. After months of rumours, speculation and some 500 papers posted to the arXiv in an attempt to explain it, the ATLAS and CMS collaborations have confirmed that the small excess of diphoton events, or “bump”, at 750 GeV detected in their preliminary data is a mere statistical fluctuation that has disappeared in the light of more data. Most folks in the particle-physics community will have been unsurprised if a bit disappointed by today’s announcement at the International Conference on High Energy Physics (ICHEP) 2016, currently taking place in Chicago. 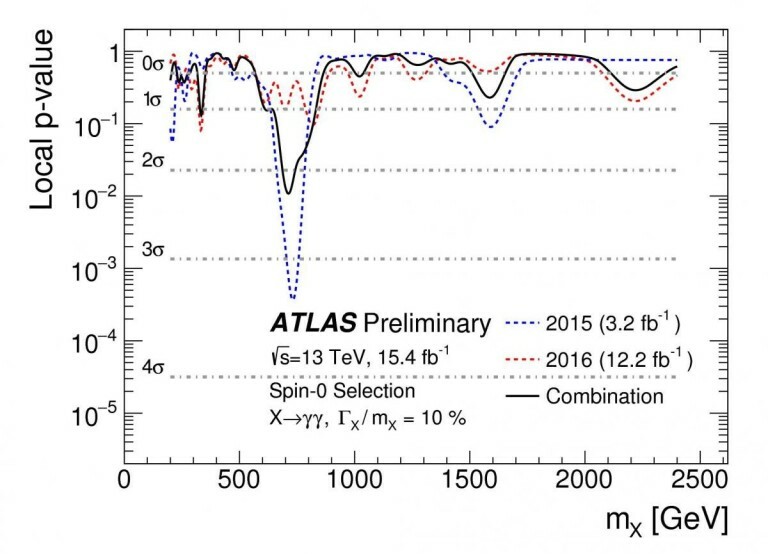 The story began around this time last year, soon after the LHC was rebooted and began its impressive 13 TeV run, when the ATLAS collaboration saw more events than expected around the 750 GeV mass window. This bump immediately caught the interest of physicists world over, simply because there was a sniff of “new physics” around it, meaning that the Standard Model of particle physics did not predict the existence of a particle at that energy. But also, it was the first interesting data to emerge from the LHC after its momentous discovery of the Higgs boson in 2012 and if it had held, would have been one of the most exciting discoveries in modern particle physics. 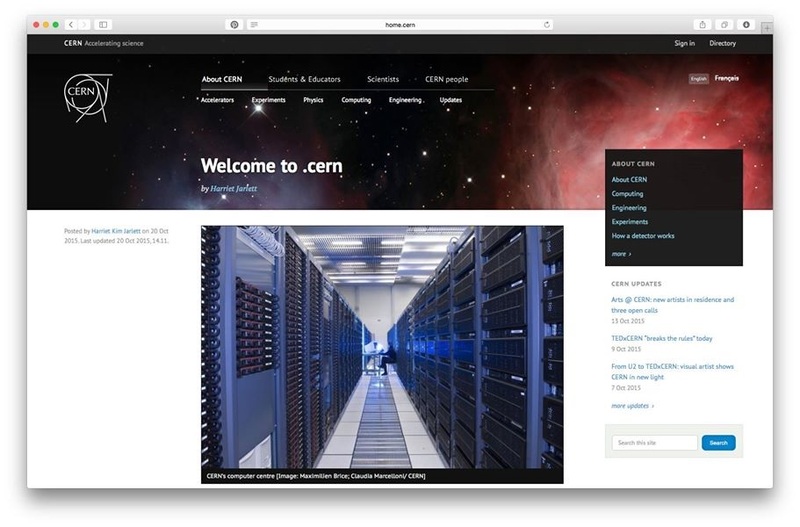 Tommaso Dorigo, blogger and CMS collaboration member, tells me that it is wisest to “never completely believe in a new physics signal until the data are confirmed over a long time” – preferably by multiple experiments. More interestingly, he tells me that the 750 Gev bump data seemed to be a “similar signal” to the early Higgs-to-gamma-gamma data the LHC physicists saw in 2011, when they were still chasing the particle. In much the same way, more data were obtained and the Higgs “bump” went on to be an official discovery. With the 750 GeV bump, the opposite is true. 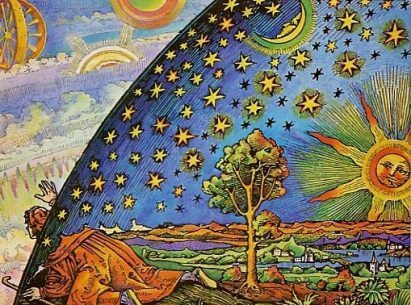 “Any new physics requires really really strong evidence to be believed because your belief in the Standard Model is so high and you have seen so many fluctuations go away,” says Dorigo. And this is precisely what Colombia University’s Peter Woit – who blogs at Not Even Wrong – told me in March this year when I asked him how he thought the bump would play out. Woit pointed out that particle physics has a long history of “bumps” that may look intriguing at first glance, but will most likely be nothing. “If I had to guess, this will disappear,” he said, adding that the real surprise for him was that “there aren’t more bumps” considering how good the LHC team is at analysing its data and teasing out any possibilities. It may be fair to wonder just why so many theorists decided to work with the unconfirmed data from last year and look for a possible explanation of what kind of particle it may have been and indeed, Dorigo says that “theorists should have known better”. But on the flip-side, the Standard Model predicted many a particle long before it was eventually discovered and so it is easy to see why many were keen to come up with the perfect new model. Despite the hype and the eventual letdown, Dorigo is glad that this bump has got folks talking about high-energy physics. “It doesn’t matter even if it fizzles out; it’s important to keep asking ourselves these questions,” he says. The main reason for this, Dorigo explains, is that “we are at a very special junction in particle physics as we decide what new machine to build” and some input from current colliders is necessary.”Right now there is no clear direction,” he says. In light of the fact that there has been no new physics (or any hint of supersymmetry) from the LHC to date, the most likely future devices would be an electron–positron collider or, in the long term, a muon collider. But a much clearer indication is necessary before these choices are made and for now, much more data are needed. Are you a boson bozo? Do quarks leave you quizzical? Do gluons get you unstuck? Cathal O’Connell has a guide to the zoo of particles, known as the Standard Model of particle physics. Around the turn of the 4th century BC, the Greek philosopher Democritus caught the smell of baking and thought that little bits of bread must be floating through the air and into his nose. He called the little bits “atoms” (meaning “uncuttable”) and imagined them as tiny spherical balls. But atoms are not little solid spheres. They are made of even smaller bits, called particles. 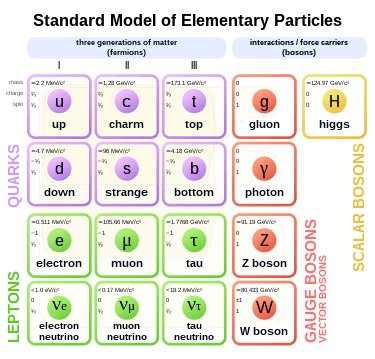 Scientists’ best description of those particles and the forces that govern their behaviour is called the Standard Model of particle physics, or just “The Standard Model”. The Standard Model categorises all of the particles of nature, in the same way that the periodic table categorises the elements. The theory is called the Standard Model because it is so successful it has become “standard”. And no, there is no Economy Model, nor a Deluxe one. There are, however, still a few kinks to be ironed out (as well as a couple of whopping omissions). That’s why it is sometimes called the “Theory of Almost Everything”. How did it all kick off? Back in the early 20th century, scientists thought there were only three fundamental particles in nature: protons and neutrons, which make up the nucleus of an atom, and electrons that whizz round it. But in the 1950s and 1960s physicists started smashing these particles together and some of them broke. It turned out the protons and neutrons had even smaller particles inside them. Many dozens of new particles were discovered – and for a while, nobody could explain them. Physicists called it the “particle zoo”. In the 1970s, physicists such as Murray Gell-Mann found an order amongst the chaos. The step they took was similar to the one Russian chemist Dmitri Mendeleev took to find an order to the chemical elements in his periodic table. The new ordering of the particles explained many of the properties of the newly discovered particles, as well as correctly predicting some new ones. Standard Model of elementary particles (more schematic depiction), with the three generations of matter, gauge bosons in the fourth column, and the Higgs boson in the fifth. 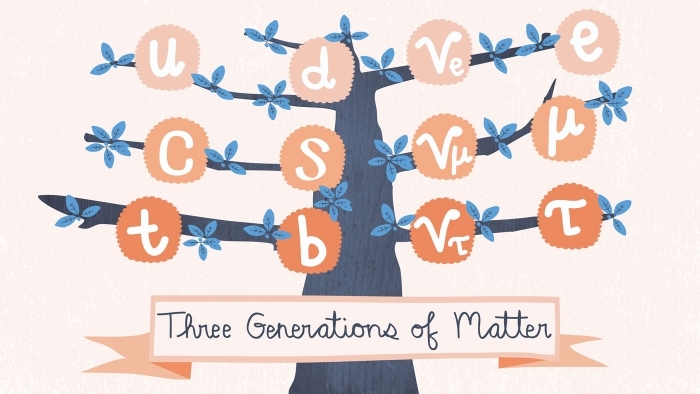 The particles of the Standard Model make up one big family. Your first introduction can be daunting, a bit like attending a gathering with a lot of distant cousins you’ve never heard of. No matter how strange these cousins are, it is important to remember that they are all related. Gell-Mann and others placed the particles in two main categories: fermions and bosons. Fermions, such as the electron, make up the stuff we call matter. Bosons, such as the photon, transmit forces. Fermions are subdivided again into two kinds of particles, depending on the forces they feel. These are the quarks and the leptons (see below). Particles communicate with one another via four forces: electromagnetism, the strong force, the weak force and gravity. The Standard Model describes the first three (gravity does not feature in the Standard Model, as explained below). Different particles communicate through different forces, similar to the way people can communicate in different languages. For example, only the quarks speak “gluon”. While electrons can speak “photon” as well as “W boson” and “Z boson”. Electromagnetism is the force that holds electrons in an atom. It is communicated by photons. The strong force keeps the nuclei of atoms together. Without it, every atom in the universe would spontaneously explode. It is communicated by gluons. The weak force causes radioactive decay. It’s transmitted by W and Z bosons. All matter is made of two types of particles known as quarks and leptons. Quarks: (the purple particles in the figure) come in six “flavours”, all with weird names. It’s useful to see them as coming in pairs to make three generations. These are “up” and “down” (first generation), “charmed” and “strange” (second generation) and “top” and “bottom” (third generation). Only the up and down quarks are important in day-to-day life because they make protons and neutrons. The others make only “exotic” matter, which is too unstable to form atoms. Physicists can create exotic matter in particle accelerators, but it usually only lasts a fraction of a second before decaying. Leptons: there are six leptons, the best known of which is the electron, a tiny fundamental particle with a negative charge. The muon (second generation) and tau (third generation) particles are like fatter versions of the electron. They also have negative electric charge, but they are too unstable to feature in ordinary matter. And each of these particles has a corresponding neutrino, with no charge. Neutrinos deserve a special mention because they are perhaps the least understood of all the particles in the Standard Model. They are fast but interact only through the weak force, which means they can easily zip straight through a planet. They are created in nuclear reactions, such as those powering the Sun’s core. Now that we know the fundamental particles of nature, we can begin to stack them together in different ways to make bigger particles. The most important composite particles are the baryons, made of three quarks. Protons and neutrons are both kinds of baryon. 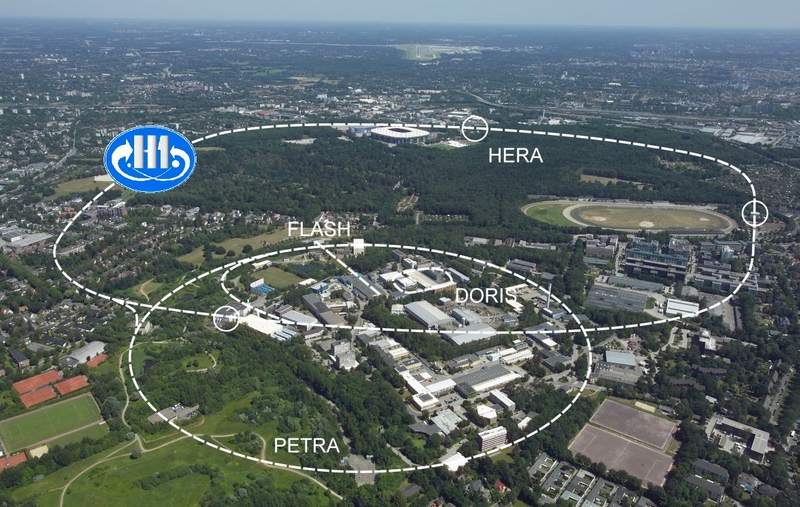 The European Organisation for Nuclear Research’s (CERN) biggest particle collider smashes protons together. Because protons are a kind of hadron, it’s called the Large Hadron Collider, or LHC. As far as we know, all quarks and leptons have twin particles of antimatter. Antimatter is like matter except it has the opposite charge. For example, the electron has a counterpart that’s exactly the same mass, except with positive charge instead of negative. When a particle of matter meets its antimatter twin, they both annihilate in a burst of pure energy. Antimatter is incredibly rare in the Universe, although it does have some important roles in technology. Positron emission tomography (PET) scanners, for instance, use the annihilation of positrons to see inside the body. One of the great mysteries of physics is why the Universe is made almost entirely of matter. Many particle physicists are striving to answer it. The bread that Democritus sniffed is made of only the first generation of fundamental particles. Up and down quarks bind together through the strong force to make protons and neutrons, and the strong force also sticks them together to form the nucleus of an atom. Electrons orbit the nucleus in arrangements determined by quantum mechanics (see our primer Quantum physics for the terminally confused). You probably noticed the loner off to the right side of particle table – the Higgs boson. The Higgs is a special kind of particle that gives the other fundamental particles their mass. The idea is that there is a field existing everywhere in space. And when particles move through space, they tend to bump into this field, and this interaction slows them down (similar to how it’s more difficult to move through water than air). This interaction is what gives fundamental particles their mass. Some particles such as photons and gluons don’t interact with the Higgs field, so are massless. Just as photons communicate the electromagnetic force, the Higgs Boson communicates the Higgs Field. 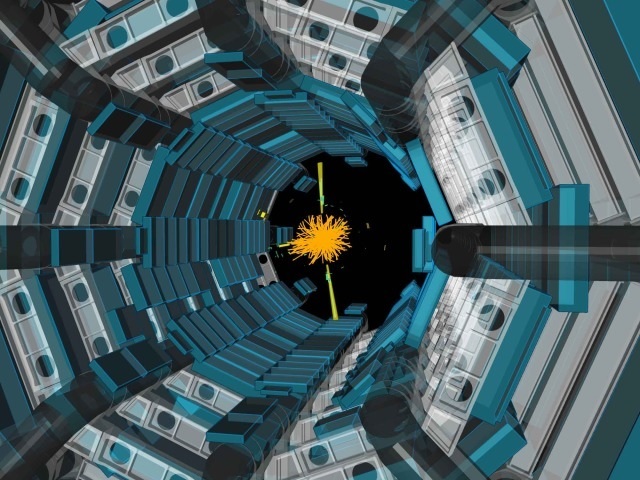 The Higgs Boson was a theoretical particle until 2013 when CERN announced it had been discovered at last, although scientists are still uncovering its properties. The biggest hole in the Standard Model is the lack of gravity. The fourth force of nature just does not fit into the current picture. Gravity is also incredibly weak compared to the other forces (the strong force is 100,000,000,000,000,000,000,000,000,000,000,000,000 times stronger than gravity, for example). Some physicists think gravity is also transmitted by a kind of particle, called a graviton, but so far there is no evidence that this particle exists. The neutrino is so tiny compared to all the other particles that it really begs an explanation. It’s possible that the neutrino doesn’t get its mass from the Higgs in the same way other particles do. Dark matter: For observing the Universe, it looks like a huge portion of it is made of Dark Matter – a new kind of stuff that doesn’t interact with regular matter and so is probably missing from the Standard Model entirely. Some physicists are looking for extensions to the Standard Model to explain these mysteries. Supersymmetry is one extension where every particle has another twin with higher mass. Some of these particles would interact very weakly with ordinary stuff and so could be good candidates for Dark Matter. The Standard Model of particles and interactions is remarkably successful for a theory everyone knows is missing big pieces. It accounts for the everyday stuff we know like protons, neutrons, electrons and photons, and even exotic stuff like Higgs bosons and top quarks. 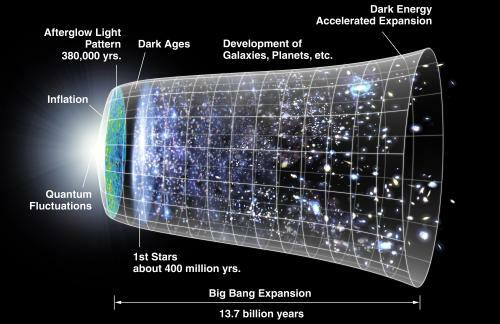 But it isn’t complete; it doesn’t explain phenomena such as dark matter and dark energy. “The fact that the three generations couple differently to the Higgs sector is maybe telling us something, but we don’t really know what yet,” Logan says. Most of the generations differ in mass by a lot. For example, the tau lepton is roughly 3600 times more massive than the electron, and the top quark is nearly 100,000 times heavier than the up quark. That difference manifests itself in stability: The heavier generations decay into the lighter generations, until they reach the lightest, which are (as far as we can tell) stable forever. Forty years ago today, two different research groups announced the discovery of the same new particle and redefined how physicists view the universe. On November 11, 1974, members of the Cornell high-energy physics group could have spent the lulls during their lunch meeting chatting about the aftermath of Nixon’s resignation or the upcoming Big Red hockey season. But on that particular Monday, the most sensational topic was physics-related. One of the researchers in the audience stood up to report that two labs on opposite sides of the country were about to announce the same thing: the discovery of a new particle that heralded the birth of the Standard Model of particle physics. “Nobody at the meeting knew what the hell it was,” says physicist Kenneth Lane of Boston University, a former postdoctoral researcher at Cornell. Lane, among others, would spend the next few years describing the theory and consequences of this new particle. It isn’t often that a discovery comes along that forces everyone to reevaluate the way the world works. It’s even rarer for two groups to make such a discovery at the same time, using different methods. One announcement would come from a research group led by MIT physicist Sam Ting at Brookhaven National Laboratory in New York. The other was to come from a team headed by physicist Burton Richter at SLAC National Accelerator Laboratory, then called the Stanford Linear Accelerator Center, in California. Word traveled fast. Ting called the new particle the J particle. Richter called it psi. It became known as J/psi, the discovery that sparked the November Revolution. Independently, the researchers at Brookhaven and SLAC had designed two complementary experiments. Ting and his team had made the discovery using a proton machine, shooting an intense beam of particles at a fixed target. Ting was interested in how photons, particles of light, turn into heavy photons, particles with mass, and he wanted to know how many of these types of heavy photons existed in nature. So his team—consisting of 13 scientists from MIT with help from researchers at Brookhaven—designed and built a detector that would accept a wide range of heavy photon masses. In early summer 1974, they started the experiment at a high mass, around 4 to 5 billion electronvolts. They saw nothing. Later, they lowered the mass and soon saw a peak near 3 billion electronvolts that indicated a high production rate of a previously unknown particle. At SLAC, Richter had created a new type of collider, the Stanford Positron Electron Asymmetric Rings (SPEAR). His research group used a beam of electrons produced by a linear accelerator and stored the particles in a ring of magnets. Then, they would generate positrons in a linear accelerator and inject them in the other direction. The detector was able to look at everything produced in electron-positron collisions. The goal was to determine the masses of known elementary particles, but the researchers saw strange effects in the summer of 1974. They looked at that particular region with finer resolution, and over the weekend of November 9-10, discovered a tall, thin energy peak around 3 billion electronvolts. At the time, Ting visited SLAC as part of an advisory committee. The laboratory’s director, Pief Panofsky, asked Richter to meet with him. “He called and said, ‘It sounds like you guys have found the same thing,’” Richter says. Both researchers sent their findings to the journal Physical Review Letters. Their papers were published in the same issue. Other labs quickly replicated and confirmed the results. At the time, the basic pieces of today’s Standard Model of particle physics were still falling into place. Just a decade before, it had resembled the periodic table of the elements, including a wide, unruly collection of different types of particles called hadrons. Theorists Murray Gell-Mann and George Zweig were the first to propose that all of those different types of hadrons were actually made up of the same building blocks, called quarks. This model included three types of quark: up, down and strange. Other theorists—Sheldon Lee Glashow, James Bjorken, and then also John Iliopoulos and Luciano Maiani—proposed the existence of a fourth quark. On the day of the J/psi announcement, the Cornell researchers talked about the findings well into the afternoon. One of the professors in the department, Ken Wilson, made a connection between the discovery and a seminar given earlier that fall by Tom Appelquist, a physicist at Harvard University. Appelquist had been working with his colleague David Politzer to describe something they called “charmonium,” a bound state of a new type of quark and antiquark. The J/psi news inspired many other theorists to pick up their chalk as well. Less than two weeks after the initial discovery, Richter’s group also found psi-prime, a relative of J/psi that showed even more cracks in the three-quark model. The findings of the J/psi teams triggered additional searches for unknown elementary particles, exploration that would reveal the final shape of the Standard Model. 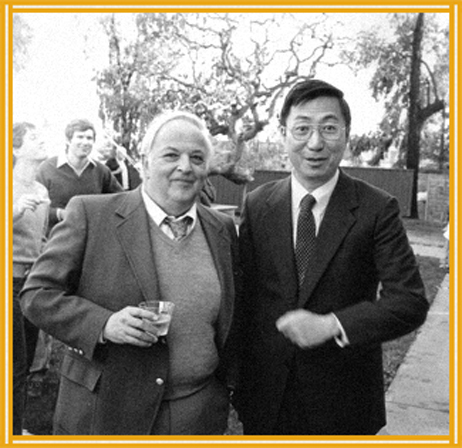 In 1976, the two experiment leaders were awarded the Nobel Prize for their achievement. In 1977, scientists at Fermilab discovered the fifth quark, the bottom quark. In 1995, they discovered the sixth one, the top. Today, theorists and experimentalists are still driven to answer questions not explained by the current prevailing model. Does supersymmetry exist? What are dark matter and dark energy? What particles have we yet to discover?